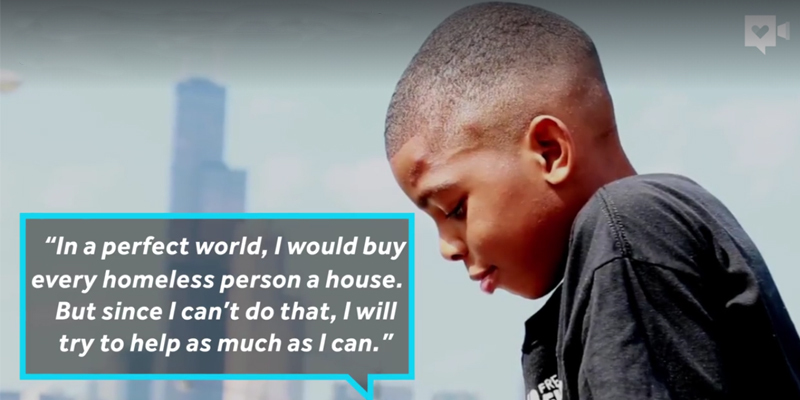 Today I came across this wonderful story of 9 year old Jahkil Jackson, a boy who wanted to help is community. After a day of feeding the homeless with his Aunt and seeing how the they lived, Jahkil decided he wanted to get up and do something to help. Together with his mother they founded a not-for-profit where they create “Blessing Bags” consisting of every day items a person needs (such as toothbrushes, socks, deodorant and soap) Jahkil, with a little help from his family, then distributes these to the homeless community. Below is Jahkil's story via HumanKind, so far he has distributed 2,000 Blessing Bags and his goal is to grow this to 5,000 bags by the end of 2017.